Fair Fighting in marriage is an essential skill. In this post, I’d like to spell out 8 essential guidelines for how to fight fair. There’s a lot to be said about how to manage marital conflict. The intent of this post is to discuss the most essential guidelines for effectively managing marital conflict. This is the most essential guideline for fair fighting in marriage. Above all else, it’s essential that you both keep your cool. Learn to recognize the physiological cues that tell you that you are entering a state of diffuse physiological arousal (DPA). If you fail to recognize flooding you will engage in contempt, fight in front of your kids, and do other emotionally reckless and regrettable behaviors. Emotional regulation is the bedrock of fair fighting in marriage. In our couples therapy intensives, we teach couples how to recognize that they or their partner are getting flooded. Some therapists advocate using a “time out” word which tells your partner that you want to take a break. But we teach a more direct approach. The first thing to understand is that when we interrupt, we are well on our way to being flooded. It’s pretty pointless to attempt to control the conversation because you never will. That’s why we teach couples how to have a Generative Conversation. When you can both take turns speaking freely and listening for understanding, interruption becomes less of an issue. Deal with one issue at a time and stick with it. This is one of the most important guidelines for fair fighting in marriage that has solid research behind it. Kitchen Sinking is when you slam your partner with a laundry list of criticisms, you’re setting up the perfect conditions for them to become flooded. Modern life is tough. Couples are habitually overwhelmed and exhausted. Don’t let a laundry list of unresolved issues accumulate. Instead, deal with issues one at a time, as they come up. Don’t make your partner the problem. recruit them as a valuable ally in solving the problem. When you complain, you want to be heard and have an influence on your partner. They will be more open to your point of view and deliver the behavioral change you desire when you describe what you want. Be direct. Expecting your partner to read your mind is not fair. Don’t expect to be understood if you don’t make an effort to ask for what you want firmly and with courtesy and respect. Contempt is a ramped up form of criticism. In criticism, you believe that the problem is with your partner. Contempt is a further cognitive elaboration. The problem is with your partner because of their inherent unworthiness. Contempt seeks to explain the failure of criticism to impact and influence by attributing it the partner’s fundamentally irreversible flaw. The partner is typically (for example) either too stupid or morally bankrupt, and that is why they are utterly incapable of change. Fair fighting in marriage requires an equal, respectful stance. While criticism makes the partner synonymous with the problem, contempt offers an explanation which fundamentally undermines the emotional bond by claiming the moral high ground. If you say something contemptuous, check to see if you’re flooded (and you probably are), apologize, and then take a twenty-minute break. Some all-purpose therapists tell you that all you need to say you’re sorry. Apologizing is not always the quickest or best way to resolve a conflict, because most of the time it’s both too little and too late. Research tells us that what really matters is whether or not apology will land. An effective apology acknowledges the pain you’ve caused, accepts responsibility, and ask for forgiveness. But you can do all that and you still might be in trouble with your partner. It’s better to learn how to repair early and often. One of the most compelling interventions during our science-based couples therapy intensive is called the repair checklist. We actually de-construct the particular words and themes your partner needs to hear from you in order to calm down and stay emotionally connected to you during a difficult conversation. If you learn how to repair early and often, you will probably find yourself in fewer situations where an apology is required. Fair fighting in marriage requires you to be an expert on relational repair. We’ve got over 40 years of research telling us the most damaging thing you can do in your marital fighting is to do it in front of your kids. Don’t teach them your bad habits. Learn how to “bookmark” a disagreement, or better yet model healthy conflict by treating each other with love and respect. Don’t fight in front of your kids. Fighting in front of your kids is a particularly toxic behavior which is completely unnecessary. There is new research has shown that even low levels of chronic conflict leave a lasting imprint, particularly on shy, introverted kids. Accept reality. You’re going to have fights. The question is, will they be fair? Fair fighting in marriage is a skill set that is predicated on emotional regulation, mutual respect, and a joint effort to identify and correct exactly how the two of you escalate. It’s a very teachable skill set. We know this because whatever you’re doing now…you learned it in your family of origin. The question is very simple. Are you happy with what you’ve learned about fighting with your partner from your parents? Or do you think you might need to learn something new? Previous Post Is Once a Cheater Always a Cheater True? What’s the Science? 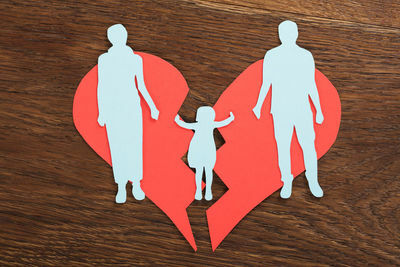 Next Post Just How Important is Forgiving an Unfaithful Spouse?